Since inception 3D visualisation expert and business owner Corné von Bratt and his team of specialists have helped over 100 architectural service providers build successful marketing campaigns, win projects and gain valuable exposure in the industry. Think3D is one of South Africa’s leading 3D visualisation companies and when it comes to architectural service providers who are ahead of the pack, 3D visuals well done really do make all the difference to a market that has become increasingly more discerning about spend. Its reputation for helping clients win projects and commissions, and successfully sell product, property and land, has yielded Think 3D plenty of new and exciting briefs from a wide base of both local and international clients since it was established in 2007. And more and more architectural service providers are seeing the value of complimenting their design ideas and proposals with expert 3D visuals that bring these to life in a way clients find very compelling and easier to say “yes” to. Because the Think3D team is architecturally-grounded; RIBA-trained and has more than 25 years’ combined experience, clients get the best value for their investment and they as a team safely take on your projects of any size both locally and internationally. As a professional and a business owner himself, Corné recognises the importance of deadlines and guarantees that they will treat yours as their own – only one week’s notice and 50% of the fee upfront guarantees that any project you send their way enjoys priority scheduling and on-time delivery, every time. 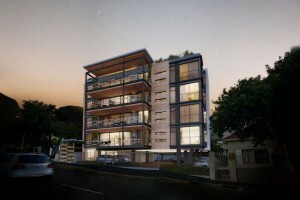 Satisfied clients include architects, interior designers and engineers such as Tara Bernerd, Aecom, The V&A Waterfront Cape Town, Blok, and VDMMA who demand the sort of excellence, delivery and value for money that are hallmarks of Think3D and discerning prospects around the world. Because Think3D is actively establishing its foothold both nationally and abroad, Corne and the team have been delighted to find architects and design professionals who are looking to positively impact their margins in a very competitive industry. This presents a unique win-win opportunity in that Think3D’s offerings come to the UK market at a fraction of the price and proudly South Africans get to enjoy competitively-priced visuals that WOW and impact sales success.